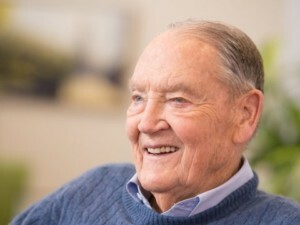 John C. Bogle (pictured), the founder and long time chairman of The Vanguard Group, wrote The Little Book of Common Sense Investing in 2007, just prior to the insanity of the 2007-2009 recession, market collapse, Lehman Brothers bankruptcy, and so on. His advice is timeless and only has grown more relevant and useful since the Great Recession. Only 216 (tiny) pages short, Mr. Bogle makes a convincing case that indexing, i.e. buying the entire market, is the only way for the average investor to capture the most return. He lays out quite the convincing case for this thesis. While I am familiar with the case for indexing, I had never read this particular book before. I picked it up at the library (inter-library loan) and demolished it in only 2.5 hours on a recent snow day. It was well worth the time invested, even though I did not learn much I did not already know. I implement his advice by holding >90% of my assets in the TSP and Vanguard index funds. 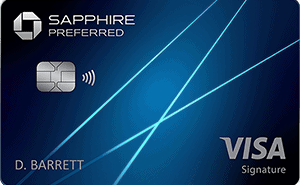 My overall costs are under .07% per year and should be lower by the end of the this year as I move all of my Vanguard funds into Admiral shares. This fits right into my investment mantra of simple, low cost, automatic, and diversified. It's a simple and automatically diversified strategy: own everything. It's low cost: The TSP's 2016 expense ratio was .038% (3.8 basis points) or 38 cents for every $1000 invested. Vanguard charges a bit more on some of their funds but it's usually below 0.20% (20 basis points). By simply buying the market, you can eliminate the risk of picking the right stocks, picking the right market sectors, or picking the next Warren Buffett. You simply just buy all the businesses at their current market capitalization and let the engine of capitalism go to work for you. Bogle is obsessed with costs. You should be too. Costs are one of the largest determinants of a funds performance and one of the few things you can control as a small investor. And unless you have a billion+ dollars, you are a small investor. Staying the course and doing nothing is an easy mantra to repeat, especially for me as a young investor riding the longest bull run in stock market history (2009-early 2017). A market drop of 50% will happen someday, just like it has in the past. I think a great motivational poster to print out and put on your refrigerator would be “JUST STAY THE COURSE.” Maybe with a boat cutting through huge waves in the background. When the market does plummet (and it will), remember to maintain your zen like calm and ignore all the hysteria around you. Continue to stick to your asset allocation plan and continue buying through the carnage and you will emerge much wealthier after the fall. More of the same, but a great quote. Stop looking for the stocks or mutual funds that are going to outperform! You can't predict the future and I guarantee that someone smarter, with a much better model, more computing power, and a lot more time is looking even harder than you. Entering the market and buying individual stocks is like entering a gladiatorial arena. Unless you have trained for years in combat, you do not belong in there. One statistic Mr. Bogle brought up was less than 1% of 355 mutual funds starting in 1970 outperformed the S&P 500 by 2005. Many of them folded completely! Graham was a legendary stock picker who wrote The Intelligent Investor (much harder to get through than Common Sense Investing) and mentored Warren Buffett. He here is saying that the market returns are not something to be beat, but merely to be matched. The average investor, after fees, does not achieve the market's returns. Bogle speaks unfavorably of exchange traded funds (ETFs). I agree with him on this point. The nature of ETFs is to be traded. A long term focused intelligent military investor is not day trading or trading at all. She is buying regularly and holding forever until financial independence, and then only selling as needed to cover expenses that dividends and income do not cover. 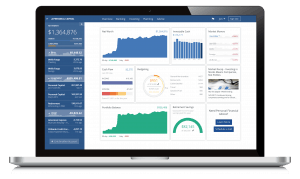 Frequent trading comes with tax and commission expenses in addition to the ETFs expense ratio. Don't get sucked into the loser's game. Stick with the TSP and Vanguard Admiral share funds. While indexing may be boring and there may be strategies that can beat indexing, you are extremely unlikely to identify the managers, strategies, or funds that will outperform the market ahead of time. In retrospect it may seem obvious, but the future is always unclear. One prediction Bogle makes is the return of the market over the next ten years (2007-2017). He thinks it will be somewhere around 6.5%. Well, we now have the ability to see how he did. 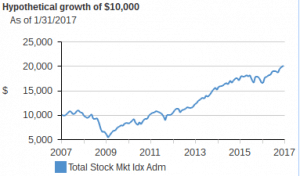 The Vanguard Total Stock Market Index Admiral shares (VTSAX) returned 7.2% for the ten years ending 12/31/2016. Not bad, a little on the low side, but pretty close. Bogle allows for a 5% “funny money” account to exorcise your “animal spirits” and trade in the market. The remaining 95% core he recommends in index funds. He also advocates your age in bonds or your age – 10 in bonds, i.e. at age 30 hold 30% or 20% in bonds. This is a pretty simple and conservative allocation. He acknowledges this may be conservative but is okay with that. Currently I hold 95% stocks and 5% bonds. I am okay with this asset allocation. It fits my reward appetite and I understand the risks inherent in holding so many equities. Finally, Bogle concludes with possibly the most useful chapter in the end. He reminds us that successful investing is similar to healthy living: simple but not easy. Calories in (eating well and not too much) versus calories out (exercising). The investing equivalent is buying and holding low cost index funds forever. If you can ignore the market and the daily swings of prices and the greed and fear, you will succeed in your investments. I enjoyed the book and recommend it to anyone seeking to understand more about the value of indexing. It will help you enormously on your road to financial independence.